Bored of your lunch or want some new exciting ideas? 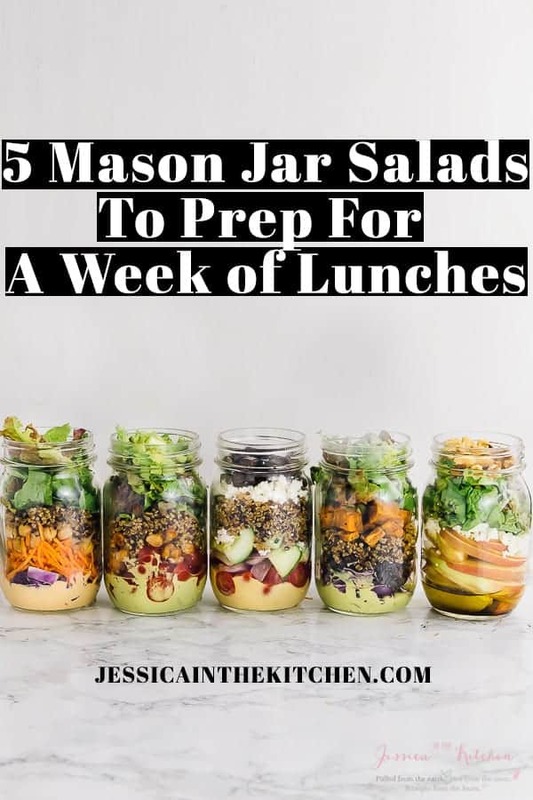 Here are 5 Mason Jar Salads To Meal Prep for a Week of Lunches you can prep in just one hour for your entire week ahead! 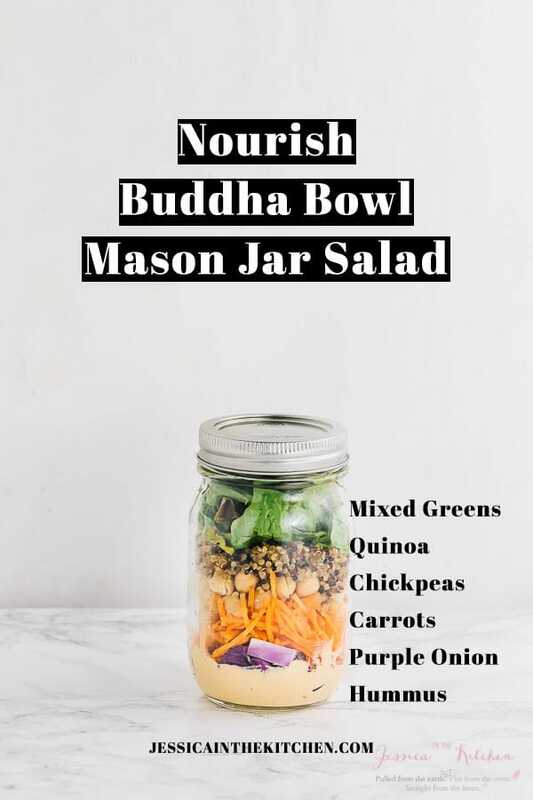 Plus tips for making the perfect mason jar salad. You can meal prep them ahead of time, as in, like a week ahead of time with fresh ingredients. They last very long! Your dressing won’t make your green soggy. 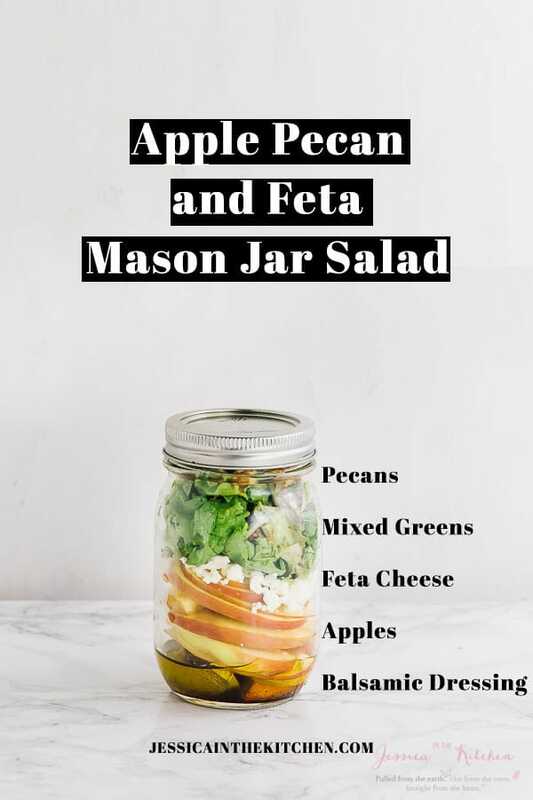 Properly layering a mason jar salad means they never touch until you’re ready to them, keeping everything fresh and crisp. They are easily portable and grab and go convenient. They take up very little space both in your lunch kit and your fridge, and being see through means you can just open your fridge, grab what you want, and go! 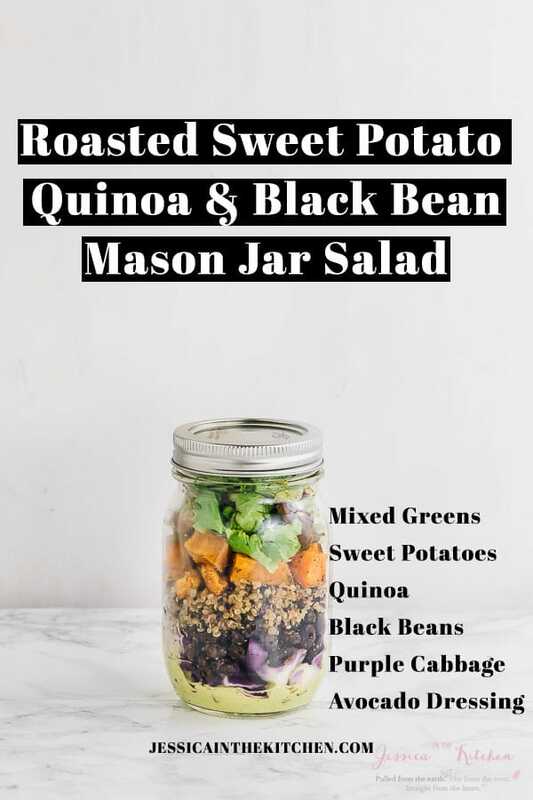 I’m sharing my top 5 favourite salads for a Mason Jar salad with you. Now if you’ve never meal prepped before, you should check out my Meal Prep 101 Post: my best healthy meal prep recipes. Meal prep makes a world of differences, saves you so much time in the long run and helps to keep you on track with being healthy. I know for me, when I’m hungry and there isn’t any prepared food or healthy snacks, it’s a bad situation. I’ll pretty much eat anything. Meal prepping solves that – glorious, healthy and already prepared food is sitting in your fridge, just waiting to be devoured. So on to these Mason Jar Salads. Even though I work at home, stopping to cook lunch can kill so much time so having food already prepared is a life saver. If you work in an office, these are even better for you! 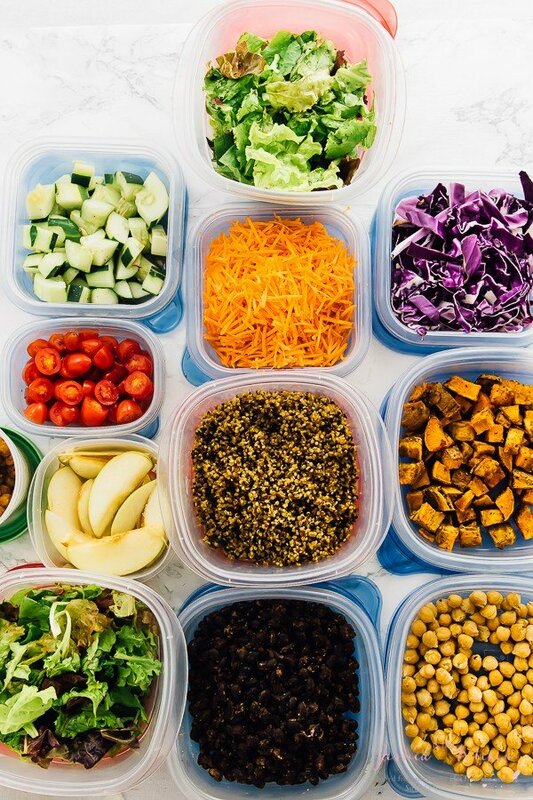 You can prep all of these meal prep salads on Sunday night for the entire week of work lunches. You can even make more to carry over into dinner, or check out some of my favourite meal prep dinner recipes too. Either way, you’ll be surprised how little rush there will be in the morning, and how much money you’ll save on lunches. Now, I have just a few small tips before I give you the recipes for the salads, and they will help with just how great your salads turn out. Choose the containers that best suit your needs. I’m kind of a Mason Jar addict, I have them in every kind and for every purpose. I found that the pint jars from Ball work best for me and my salads. If you want something a bit bigger, you can purchase the Quart jars. Now, I’m not counting out tupperware here at all. I think it’s perfect for if you want to assemble your salad the morning you leave (totally fine too). Cut up all the veggies and portions needed for the salad, place into your tupperware containers (I love labelling them). and then divvy it up in the morning. I don’t necessarily stick to just one brand when it comes to these, but I do love the Rubbermaid Stackables and the Glad containers. This will make your jar or ruin it. Jar layering is a science…just kidding. It’s super easy. Start with non-absorbent/thick & hard veggies (think cabbages, tomatoes, carrots), then your soft veggies (chickpeas, beans), and end with your leafy greens at the top. If you’re using cheese, I like to put it a layer below the veggies, and if using nuts, I like to put them on top. P.S. – these are my three favourite dressings that work for all of these jars. Friends! This is so crucial. Fresh ingredients make all the difference with how long your Mason Jae Salads taste and how great they taste. I like to go to the farmer’s market on Saturday with my grocery list (P.S. FREE and printable for you) and then meal prep the next day. Find the recipe for this salad here. Find the recipe for this salad here. I used the Avocado Dressing in place of sliced avocados because it can double as a dressing, and lasts longer than sliced avocados. If you want to reheat some of the layers, simple separate them in a plate and reheat separately. To roast sweet potato, preheat oven to 425 degrees F. Wash, dry and cube the sweet potato. Rub with a little olive oil, salt, black pepper and garlic powder. Place on foil or a silicone mat on a cookie sheet and bake for 20 to 30 minutes. 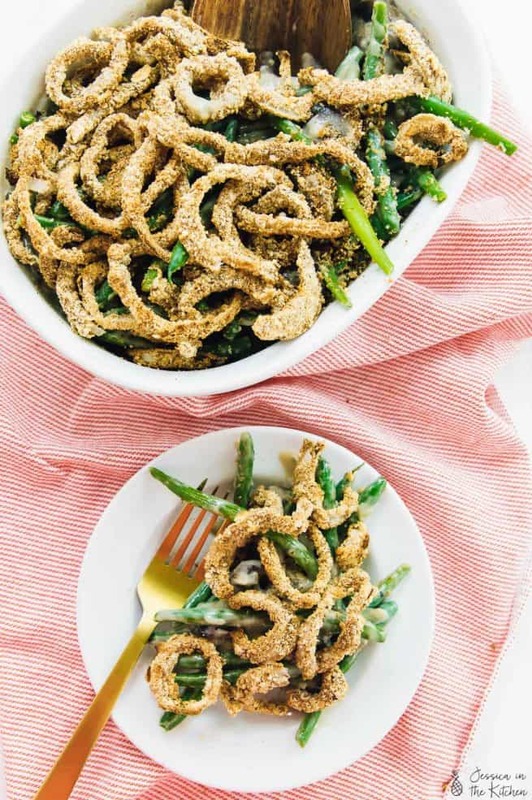 You won’t need all of it for the recipe so you can use it as a side dish to your other meals. 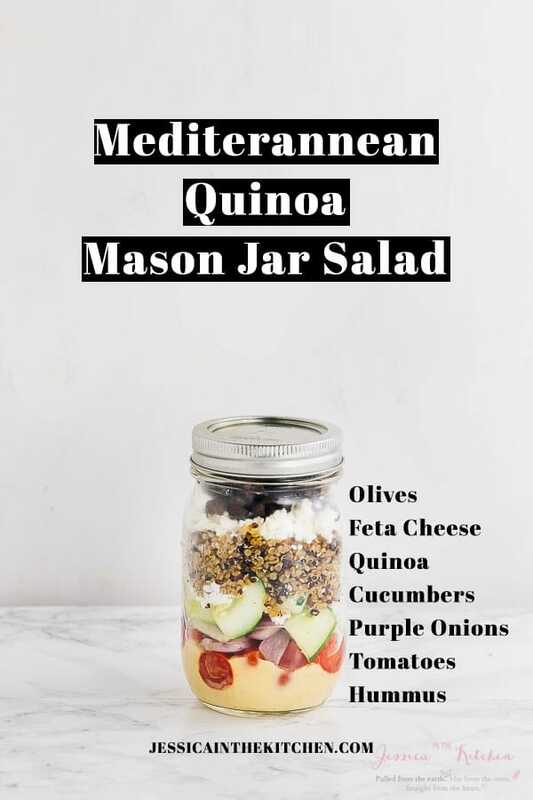 If you try any of these Meal Prep Mason Jar Salads please let me know in the comment section below, or tag me on instagram with the hashtag #jessicainthekitchen! For more exclusive recipes follow me on Instagram AND on Snapchat: jessinkitchen. 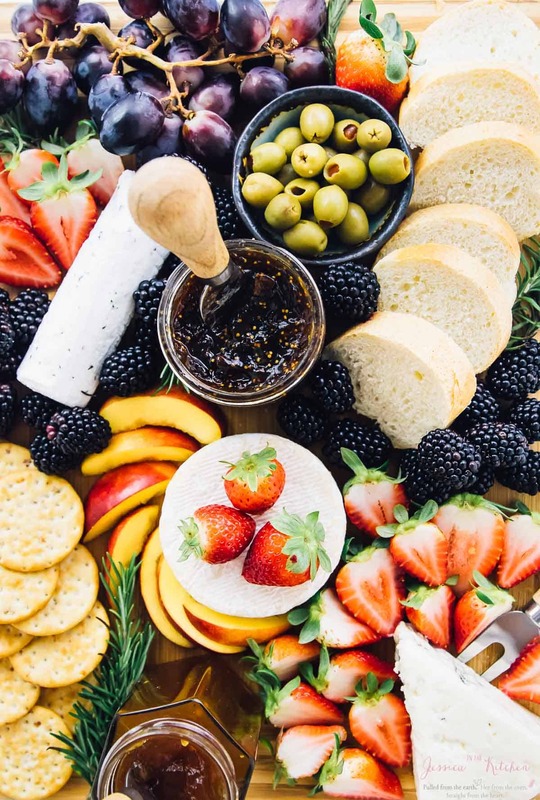 Girls Night In: Wine & Cheese Night + Popcorn! I LOVE a good meal prep and I LOVE the variety of salads you shared! YUM-MY! How do you prevent the apples from oxidizing in the Apple pecan Salad? does the balsamic vinaigrette preserve the apples? I spritz mine with some lime or lemon juice (like literally squeeze it right over) at first, but the apple cider vinegar in the vinaigrette helps too! If you want to keep them looking fresh I would definitely recommend the lime or lemon juice. Just curious – do you eat your salads out of the jar or dump them out onto a plate or into a bowl? I do both but since I usually have lunch at home I dump it onto a plate/bowl. If I’m doing jar, I use my large jar so that I can stir it around inside it so the dressing is all mixed up. I hope that helps!! OMG this is EXACTLY what I needed!!! Thank you so much for these lovely recipes. Just what I needed as I too work from home and am always far to busy to take time out to actually make a lunch and end up eating poorly. My question is: Do you have a system to avoid wastage – it is rather late here in England right now – so maybe I have missed that bit – but I can’t quite get my head around quantities to shop for and actually use. I have your shopping list which I will download, but would really love some help with actually knowing how much to buy – of which veggies etc. Warmest wishes and many thanks once again – your blog is inspirational to say the least! Thanks so much for reaching out – you’re so welcome!! In regards to your question, what I do is just meal prep for the week. I write out all the ingredients on a paper and combine them, and try to use recipes with similar ingredients like roasted sweet potatoes in different ways. Then I always check the portion size for the recipes and I plan that out accordingly – like if it serves 4, it’ll make two meals for the Mr and I and for example. Then I only buy that amount! 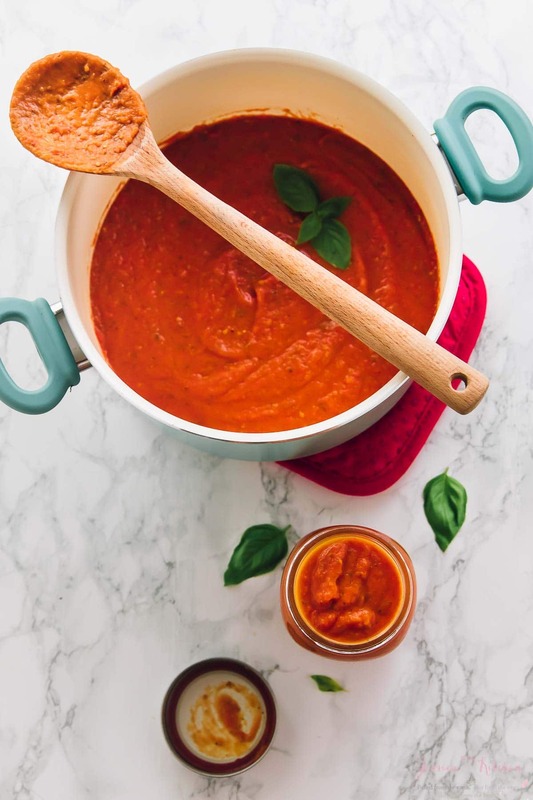 If I end up with excess I make some no recipe recipes – a veggie pasta, smoothies with leftover fruits, roasted veggies, a soup etc., things that use up the excess. Otherwise, I make the meals and freeze them! We always have soup in our freezer. THANK YOU JESSICA- I have wondered about how to do this for over a year! Now I’m inspired to try it. You’re so welcome!! I hope you enjoy!! You should be finished everything in two hours, MAX! Remember that while things are baking, you can be mixing other things. That’s lunch for the week! Here’s some help (which I’ll update above with): cook the quinoa on the stove while the potatoes are baking. Make the salad dressings. 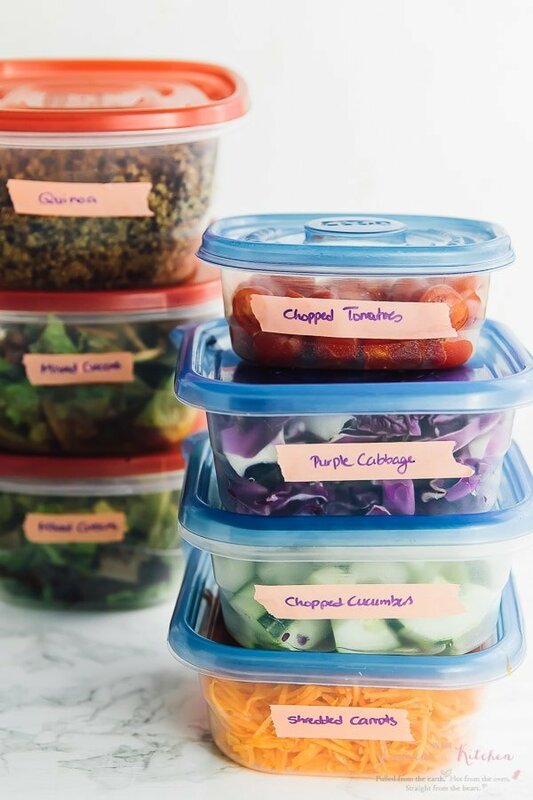 When you’re prepping your ingredients, do enough based on the salads at the same time, so essentially, batch prep them like in the Tupperware containers above. Then do similar jars at a time based on salad dressing! I hope that helps! I need a copy of these msson jar dalad recipes but I don’t know how to do it. They sound so good. Thanks!! Click on the links and it’ll take you to the recipes! I hope you enjoy! I’m glad someone asked this question:). 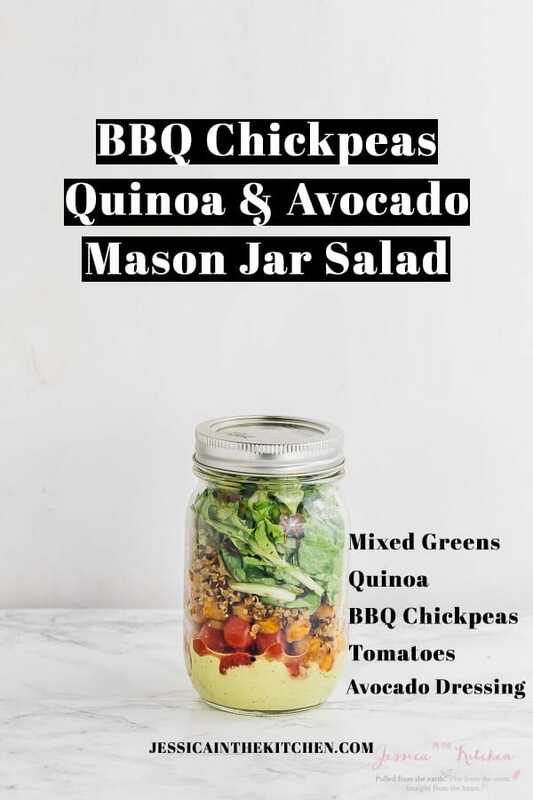 The way you set up the salads in the jar makes it look fancy and appetizing. Do you mean it spoiled? It sounds like you didn’t use fresh enough ingredients. If you use fresh ingredients it will definitely last. I hope that helps! I make 4 at a time and they are great as a meal or a hearty snack. Thanks Patty we’re glad you love them! Hi Jessica, how do you make the Avocado dressing? 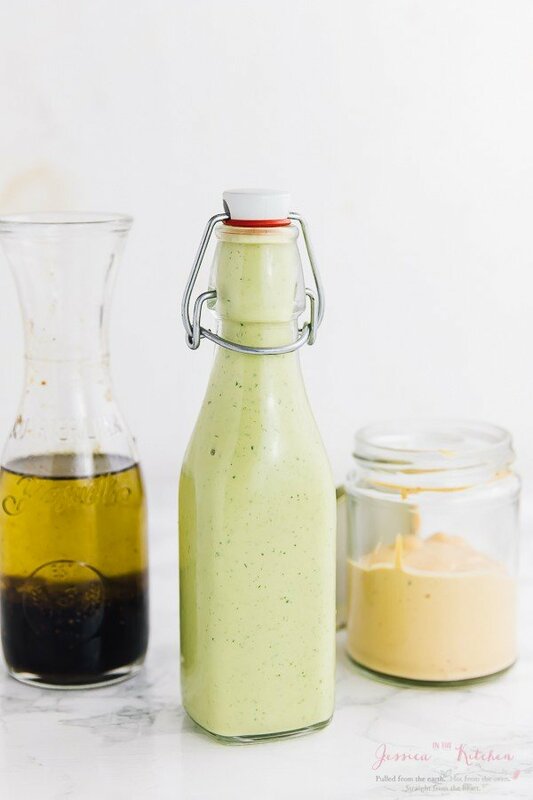 Hi Ama the link to make the avocado dressing is right here!https://jessicainthekitchen.com/creamy-vegan-avocado-dressing/ I hope this helps! Excellent, resources. They’ve been a great blessings for me. Hi Rachel, Thank you so much!! Do you eat the salad out of the jar or pour it into a bowl? Hi Seri. You can do either, from the jar if you want that no fuss less mess situation or if the jar is just for transportation, you can scoop it out into a bowl if you prefer. I hope this helps. Thanks for reading!